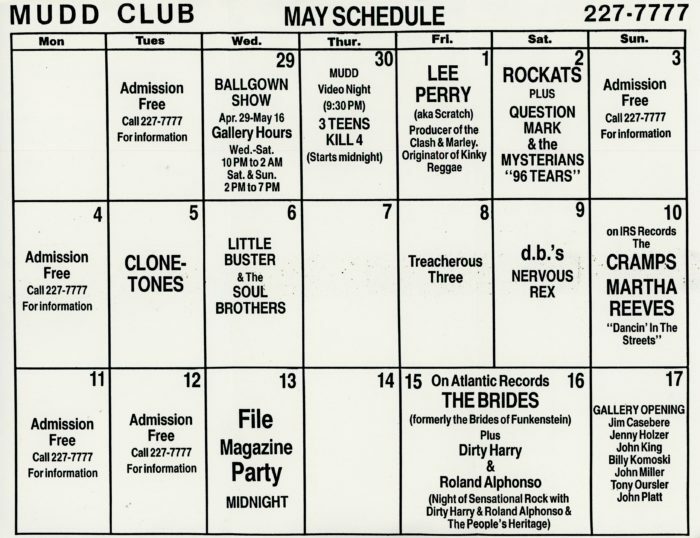 Flyer advertising the May schedule for The Mudd Club’s lineup. Bands include Lee Perry, Clone-Tones, The Brides and Dirty harry and Roland Alphonso. Gallery openings included artists such as Jenny Holzer.